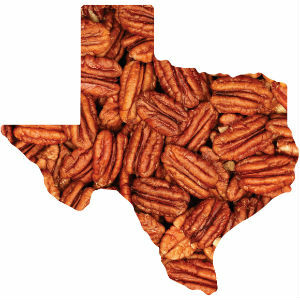 Pecans and Texas go way back. In fact, here in the Lone Star State, we honor the pecan tree as our State tree. In 2013, Texas even made pecan pie the official State pie. And speaking of pecan pie, check out this vegan pecan pie recipe we’ve shared just in time for the holidays! If you’re thinking of growing your own pecan tree, there are a few things you ought to know: One, your tree needs attention. There are a number of different varieties, but critters, fungus, and cold weather don’t treat pecans well. Pecan trees grow tall, so make sure they have a lot of space. As a general rule, the more leaves your tree has, the bigger the pecan nut will be. But some trees just produce small nuts. If you want to know more about how to grow pecan trees, the Texas A&M University Horticulture Extension is a great resource. The USDA has acknowledged that the fruit of our home state’s Official State tree, the pecan, has the highest antioxidant value of any nut. 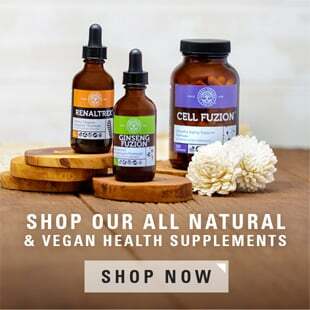 It’s also loaded with more than 19 vitamins and minerals, and heart-healthy omega-3 fatty acids. 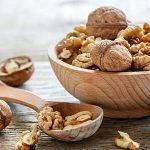 Simply stated, the pecan is packed with nutrition. 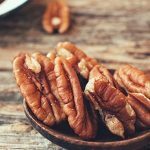 How Can You Benefit from Consuming Pecans? More than 1,000 varieties of pecans exist. 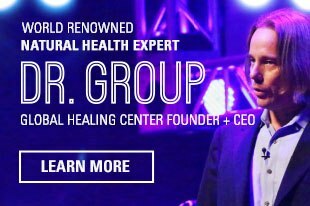 Most names come from Native American tribes. 80% of the world’s pecans come from the U.S. 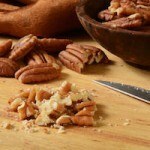 When asked about pecans, most consumers think first of pecan pie. "Pecan" is pronounced differently inside of the different states that grow them. Some even disagree within the same orchard. Pecans are naturally sodium free. 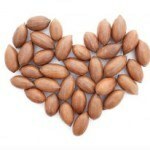 I love pecans as a snack as well as in my salads, entrees, and desserts. As I said, pecan pie is the official pie of Texas. In the comments below, tell us about your favorite way to eat pecans. FILIPA RODRIGUES & ANDREW WEBER. Pecan Pie Named Texas State Pie, Plus 8 More Official State Oddities. KUT. Mary Beth Bennett, Ph.D., Extension Agent & Assistant Professor. Pecans - The American Nut. West Virginia University. A. S. Evans. PECAN INDUSTRY. Texas State Historical Association.